It’s no surprise that Yorkshire Terriers, affectionately known as Yorkies, are one of the most popular dog breeds in the United States according to the American Kennel Club (AKC). When you bring a Yorkie into your life you will get a lot of dog in a tiny package. Like all terriers, Yorkshire Terriers are brave, determined, smart and energetic, but a Yorkie also travels well, is suitable for apartment life, and is the definition of the term ‘lap dog’. Yorkies truly crave attention from us humans and not only will a Yorkie be your friend for life, they will be the life of every party you take them to! Whether they are strutting around the show ring or being toted around town in your purse, a Yorkie is always the center of attention and that’s just the way they like it! Are you looking for a Yorkie puppy with a fun loving personality, that will be a joy to live with, and looks that can (and will!!!) stop traffic? Are you looking for a Yorkshire Terrier breeder who strives for health and intelligence as well as beauty, who will treat you with respect, answer your questions honestly and provide you with a lifetime of support? If so, then your search is over! Breeding Yorkies is an art and a Let’s Talk Yorkie puppy is truly a masterpiece! I design Yorkshire Terriers with stunning faces, healthy bodies, and loving dispositions. You won’t find any yappy little dogs here – I choose my Yorkie puppy parents not just for health and beauty but for intelligence and temperament too! Let’s Talk Yorkie puppies have their own nursery in my home on the south shore of Long Island, New York a 45 minute drive from New York City. It is immaculate and so are my puppies and their parents. None of my Yorkies has ever seen the inside of a cage – they are born in state of the art whelping boxes then moved to play pens. The puppies and their parents are spoiled rotten from the day they are born until they leave me and I am VERY good at it! My Yorkies and their puppies receive the best of everything, from the food they eat, medical care received… right down to the beds they sleep in and toys they play with. Creating life is something I take VERY seriously and I think it should be done by a knowledgeable professional. 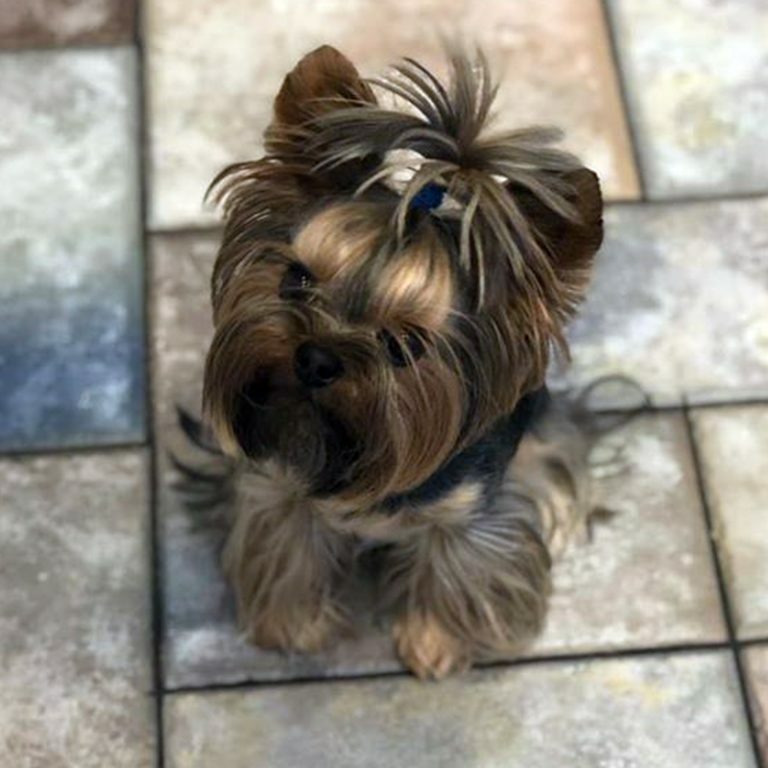 When done right, breeding Yorkies takes a lot of time, energy and money; there is ongoing health and genetic testing of the Yorkies and continuing education for the Yorkie breeder. Don’t purchase your Yorkshire Terrier puppy from just anyone (or heaven forbid from a pet store!) If you choose carefully you will be much happier with your puppy purchase and your puppy will grow up to be a happier, healthier dog. With ads popping up all over the internet, along with enticing websites claiming to sell Yorkie puppies, it is more important than ever to do your homework – not just fall in love with an adorable photo. 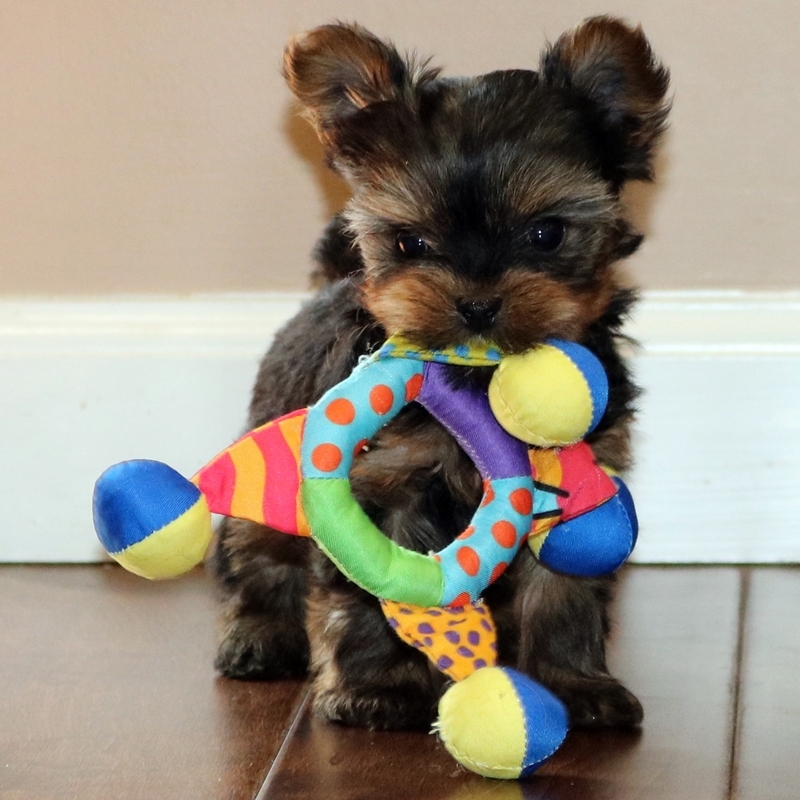 As the saying goes “An educated consumer is our best customer” and Let’s Talk Yorkie wants you to have the information you need to make educated decisions whether a Yorkshire Terrier is the right breed for you and if so, which Yorkie breeder you will trust with your Yorkie puppy purchase. I hope the information here will help you with both of these decisions.